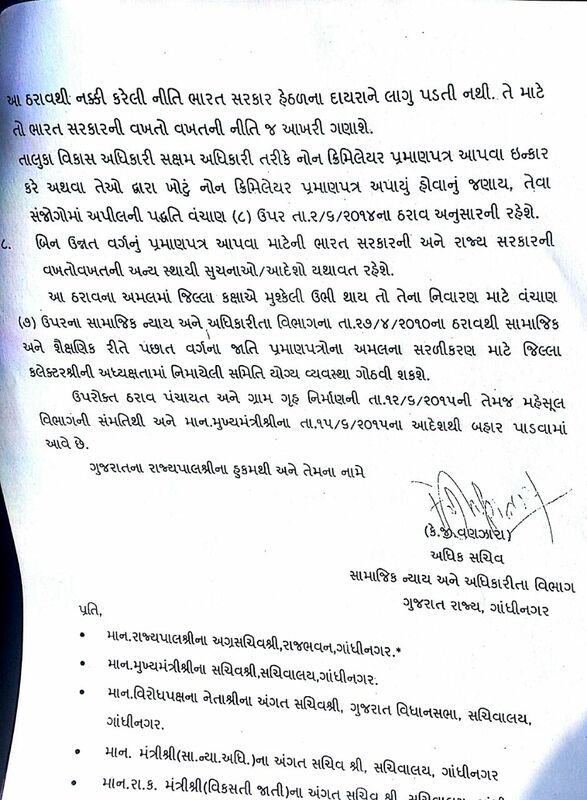 Gujarat Government has changed some Rule for Non-Creamy Layer Certificate. 1. OBC Category No Avak No Dakhlo 3 Year Sudhi Many Ganashe. 2. 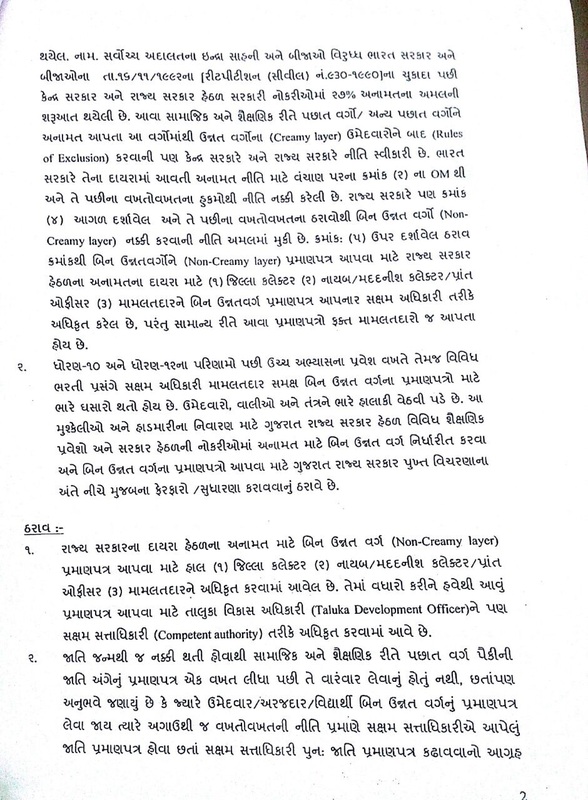 OBC Non-Creamy Layer Certificate Have T.D.O (Taluka Vikas Adhikari) Pan Aapi Shakshe. 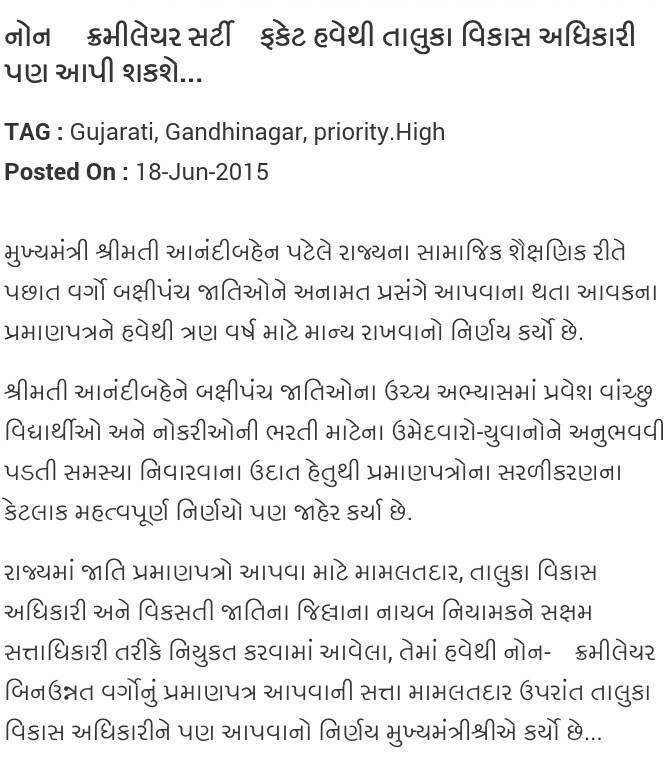 Maru cast certificate Maharastra nu che to mne gujrat nu non cremilayer mli sakse?? 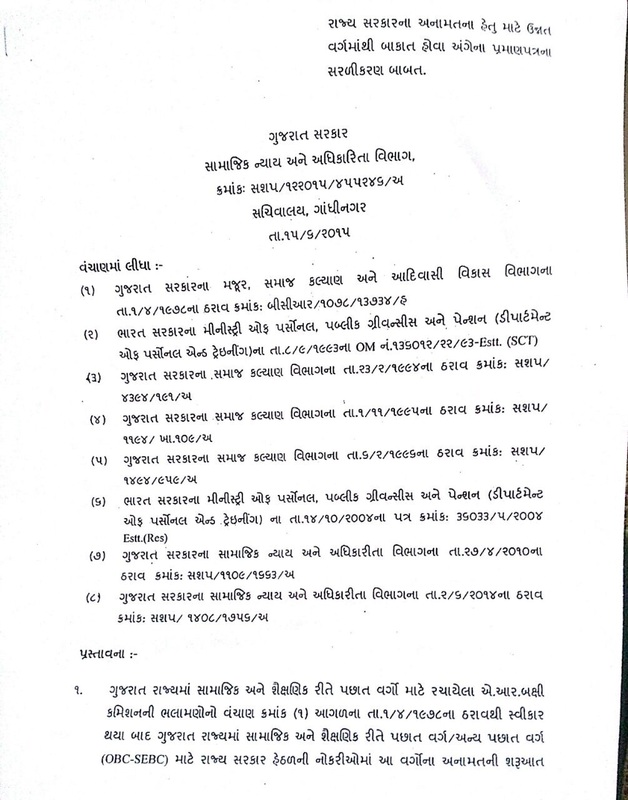 Maru education gujarat nu j 6e.